As I learned German very late, I missed the opportunity to absorb culture together with language, as I would have done in kindergarten and in school and in everyday life, were I born in a German-speaking place. I notice this gap when I write in cursive, when I sing children’s songs, when I use proverbs and figures of speech – they all come from Italian culture. I’m trying to bridge this gap by reading childrens’ books in my local libraries, and it’s always fascinating. Especially history books that -of course- center on another country. In my mind, history is so deeply connected with the history of my country that I first have to find connections with my own knowledge in order to properly place the events of German history on the time-line. It’s a collection of German idioms, described in their meaning and origin in a short paragraph. Many expressions come from the past, and cite knights, ancient arts and crafts, farming, commerce, construction, old administrative structures. I liked how it gave me another angle of the German culture, not directly like in an history museum or book, but indirectly through many bits and pieces that survived in today’s language. My favourite is “Alles in Butter!” which means “All is OK/safe!”, and comes from the times where merchants transported fine glass manufacts from Italy to Germany, across the Alps on carriages. The risk of breaking would have been very high, if the merchants did not submerge the glasses in liquid butter, then let it become solid and protect the fragile objects from any shock. At destination, the butter was melted again and the glasses taken out and cleaned. Clever and effective! Here is another book I recently read, and that I wish to review here in English despite it being written in German. The journalist Jan Mohnhaupt has written a detailed report of what happened to the two Berlin zoos during the Cold War, that I found captivating and moving. 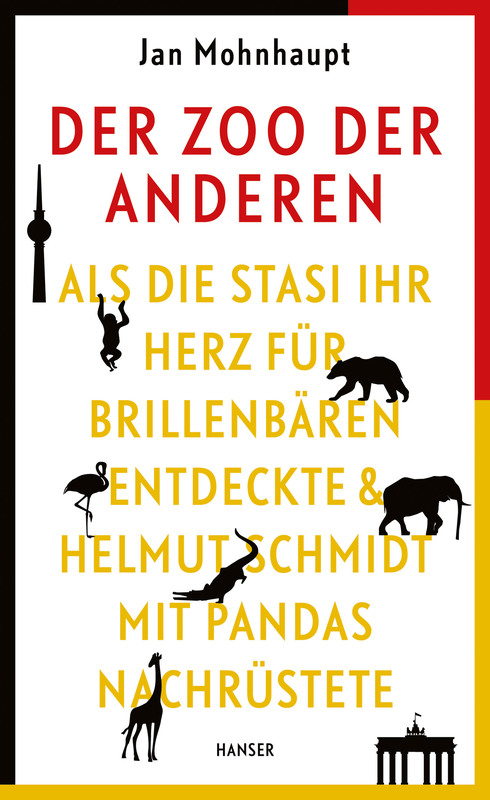 I have been to both the Zoo and the Tierpark, but at the time with only a vague idea of their history – I am even more curious to come back after this read, to see the animals, trees and enclosures not only as themselves in the present time, but also as traces of a complex past. The interesting side of this book is that the story of the zoos and of the people who managed them and worked there sounded to me as a net of complex, but understandable, human stories, about people who showed the highest dedication to the cause of wildlife, but also had to play smart on the Cold War chess board and to deal with personal life obstacles. I also have the feeling to be a little more Berliner, with this new piece of local knowledge. I still oscillate between feeling “local” or “foreign” in this city, and I oddly feel close to the most beloved animals in the zoo: adopted by the visitors as true citizens, but forever (hopelessly?) foreign, as members of an exotic species. I warmly recommend this book to whom has a good German level, and I hope it will be translated to English soon! I read this book a while ago and took quite a lot of notes about it. It’s a book that I found compact and easy to read, while talking about very broad ideas about teaching and learning. Remo Largo is a Swiss pediatrician who wrote several books about education, and is therefore well-known in the German-speaking world. In this book, he underlines how external pressure (from parents and teachers) is not as effective as the child’s own motivation to learn, because it works as a threat and has no positive long-time effects. Small children grow following a “curiosity path” that leads them to focus on specific topics for a short time-frame (language, movements…) and it’s important that the adults notice these focus moments and support them with related learning environments and tools. He is convinced that obedience doesn’t help in building any relationship between the child and adults, and that a healthy emotional connection with teacher figures has a positive effect on the interest on the topics they explain. He proposes individually-tailored learning paths for each child, so that the speed of learning is appropriate, and the child doesn’t get bored or overloaded. I consider this book more of a manifesto than a guide, and am curious to know more about the practical applications of these concepts. Many ideas are already part of school programs, and I find that there is significant overlap with Montessori education concepts. 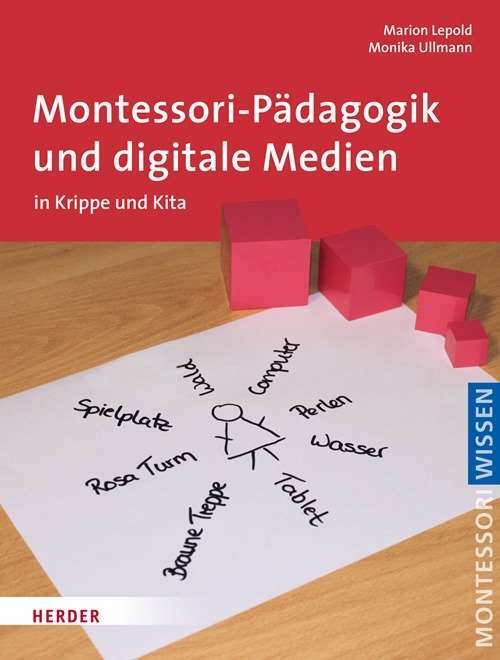 I’d like to write a review for this book, even if it’s currently available only in German. I found it a compact yet deep analysis about the perception of giftedness in my cultural environment. Each chapter ends with a page of questions that readers are invited to ask themselves, with the goal to better understand their own thinking and how it influences the people near/dear to them. 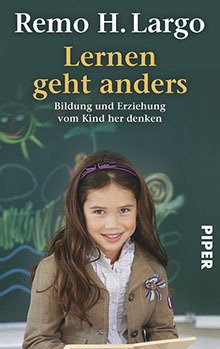 Dr. Ulrike Stedtnitz starts the book with the analysis of potential, success, intelligence, and giftedness. It is nowadays clear that all these concepts can be modeled in many ways. Moreover, gifts evolve with time: for example, a child who learns to read at an early age is not necessarily going to keep being a reading genius, nor show potential in other domains. It becomes clear that giftedness without practice doesn’t go anywhere, and that practice alone usually goes pretty far! Many people (especially children), who show a gift in a particular domain, usually make initial progress quite fast and effortlessy, and start struggling far away along the road, as they need a background of exercise and effort management they haven’t developed. Therefore, the author’s suggestion is to teach how to manage effort, concentration and persistence, and let personal capabilities and creativity collaborate to success. She then ends the book with three chapters, one about dealing with emotions (how to cultivate/teach emotional stability and resilience), one about early education (where she mentions many principles in common with Montessori method, and the method itself) and the last one about school (with the invitation to abandon fact-learning, test-based evaluations of the whole progress, and to better prepare for working life). What I liked in Dr. Stedtnitz’s analysis is how she makes clear that giftedness doesn’t require a fast lane or special rewards in school in order to lead to success – on the contrary. It is described as a specific advantage, which can backfire if it allows the child to skip crucial parts of the learning process, especially if it makes the child associate effort to insuccess. Therefore her suggestion is to have an education system that focuses on managing effort, developing concentration, intrinsic motivation, and let children experience and later generate moments of flow. I share these ideas, and I want to integrate them into my teaching model – a likely smooth task, as the Montessori method already shares many of these basic principles.